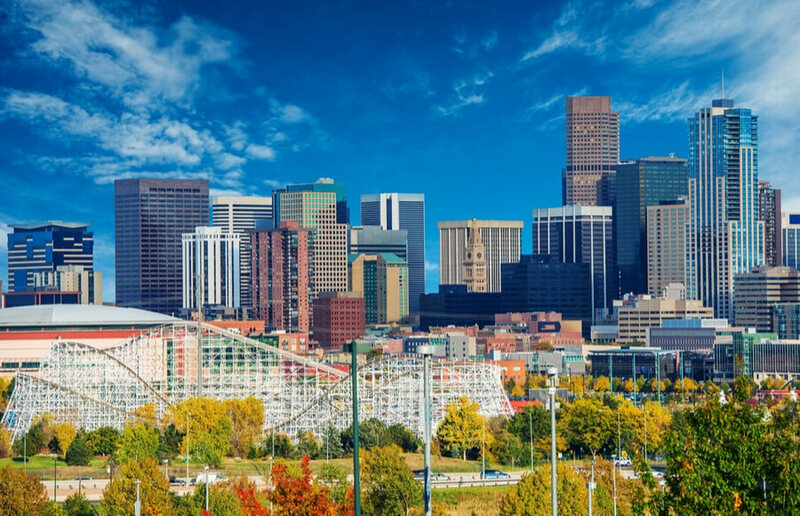 Step 13 is a residential community for recovery located in the city of Denver tailored exclusively to assist low-income men dealing with the disease of addiction and seeking long-lasting recovery and sobriety. The facility was founded in 1983 by Bob Coté, a former Golden Gloves boxer who also had bouts of addiction during the early 80’s. The program seeks to help residents transition into a structured and safe sober living environment which helps to boost accountability and productivity. The center offers its services to men within the age range of 21-63 and does not discriminate in regards to educational level, race, socioeconomic background, or religious preference. The facility adheres to the Peer Recovery Support Model which offers effective addiction recovery programming. Men at the facility participate in 12 step meetings, education groups, and are given a Recovery Support Manager. Step 13 employs a ‘Work Works’ philosophy which insists that effort, including that of gainful employment, leads to success. For this reason, the facility maintains a partnership with Goodwill Industries which enables the clients to have access to a full-time career counselor. Men at the facility are required to get tax-paying, permanent, and full-time employment and through the collaboration with Goodwill Industries, 95% of residents get good jobs within two weeks of entering the program. Additionally, the center is strict on sobriety maintenance and involves clients in a ‘Step for Success’ program whereby residents are assigned Recovery Support Managers to help them reach milestones and complete assignments during the course of the program. The center also has sober living homes which are affordable and facilitates the smooth transition of its participants back into society. New clients are first housed in the dormitory which can accommodate about 25 men. Every resident gets lockers and dressers. As clients progress further along in the program, they may be transferred to private rooms. The facility has a bathroom downstairs and the main floor which has four bathroom stalls, twelve shower stalls, and twelve sinks. The facility’s homely, sober living houses are beautiful, well-furnished, and are capable of accommodating up to ten residents. Residents cook their own meals in a communal kitchen and buy their own food. Clients are required to be self-sufficient while at the facility and therefore are required to find gainful employment during the first few days. Step 13 offers a Sober Living Program for residents to advance further in the Peer Recovery model. The homes encourage accountability, structure, and responsibility and seek to help men successfully reintegrate back into society. Residents participate in recreational activities, meetings with recovery support officials, and house chores. Step Denver costs approximately $190 for a 30-day period registered into the dormitory and $220 for a 30-day period as well but for a private room. Clients are advised to visit the facility to find out more information on the admission process and payment plan. The organization provides fitness equipment to clients registered into a program and also offers activities (spiritual and recreational) to help encourage a proper work-life balance and self-care. Clients registered into a program at the facility have access to self-development, education, employment opportunities, counseling, and many more due to the organization’s partnership with Goodwill. Step Denver being in the business for over 30 years, has been helping men rebuild their lives. With passionate workers and staff, the organization provides structure, spirituality, support, and discipline to men who are seeking long-term sobriety. Although the facility is not luxurious, it provides an arena for real-life recovery instead of beating about the bush or pampering individuals. Residents at the Step Denver facility are allowed to be there for as long as needed and the cost of recovery is low making it accessible to everybody. The facility is a good option for clients with a low budget and seeking long-term recovery. Paul holds a Bachelor’s degree from the Michigan State University majoring in Food Systems Management and Hospitality. Prior to holding the position of Executive Director of Step Denver, he held other positions at different organizations such as Sales, Marketing, and Management at Hospital Industry Professional, Recovery Support Specialist at CeDAR Center for Dependency, Addiction and Rehabilitation. Jessica holds a Bachelor’s degree from Oklahoma State University where she majored in Sociology and a Master’s degree from the University of Colorado majoring in Business Administration. Prior to holding the position of Assistant Manager of Vehicle Donation Program which is relatively new, she held the position of Executive Assistant for one year.